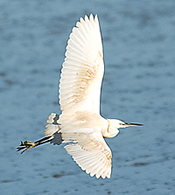 The White Hart Blythburgh is on the doorstep of some of East Anglia’s best birdwatching sites. The Blyth Estuary in classed as an internationally important wetland site by RAMSAR and is a Special Protection Area and SSSI. The local area is also an Area of Outstanding Natural Beauty. 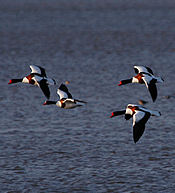 Birdwatchers can delight in regular visitors and inhabitants including Avocet, Black Tailed Godwit, Bittern, Marsh Harriers and Woodlark, and with access straight from the pub car park, and a secluded hide within 1/2mile the pub is perfectly placed to offer the amateur and more serious birdwatcher some excellent viewing opportunities. 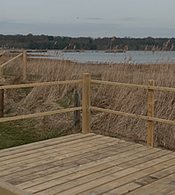 Minsmere RSPB Bird Reserve is less than 20 mins drive offering the more serious birder a wide variety of habitats, including woodland, heathland, and marshland.